Designer collars & leashes, sweaters & jackets, beds & furniture, bowls/feeders & placemats, shampoo/soap & aromatherapy spritzers, collar charms, pet carriers, safety harnesses and life vests. 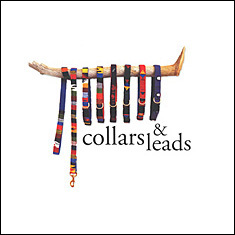 MYKENS has one of the best selections of collars and leashes around. Our leather collection includes classic styles as well as beaded, braided and Swarovski jeweled designs. Other styles include hand-woven, embroidered web, ribbon, and unique Greyhound collars. Safety collars for those finicky felines as well! 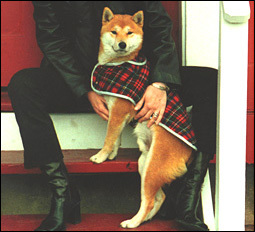 We offer an extensive array of jackets and sweaters for dogs. Raingear and boots, warm, fleece-lined coats, sweaters knitted in fine quality and luxurious yarns all adorned with handsome and seasonal patterns. From practical to PAWSitively posh! 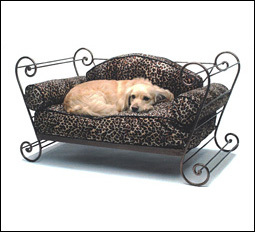 Your pet is sure to find the purr-fect bed. Mats are available in fleece, brushed cotton, sueded microvelvet and even catnip-filled for kitties. Sleeping bags, donut beds, cozy caves, cooling pads, and wrought iron couches. 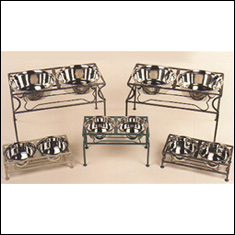 Raised wrought iron doggie/kitty diners, hand painted bowls and saucers, fiesta ware, stainless steel and ceramic designs. We offer soap, spritzers, shampoos and conditioners made from pure botanical extracts and natural oils formulated to make coats shiny and soft, and leave a refreshing scent. Your furry friends will like these products so much that they will actually enjoy baths…well, maybe!! 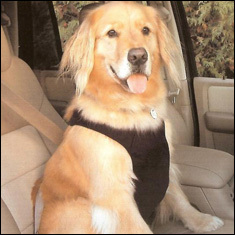 Canine car safety is important! Easy on and off, strong and comfortable - this 3-in-1 safety vest is a car restraint, non-choking harness, and chest protector all in one easy-to-use device.